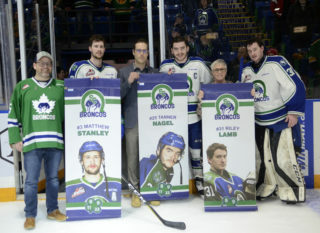 Matteo Gennaro and Kole Gable each recorded three points as the Swift Current Broncos stopped their losing skid and returned to winning ways, beating the Kootenay ICE 5-3 on Wednesday. The ICE came out flying in the opening minutes of the game as they outworked the Broncos in their own territory with Colton Kroeker digging up a loose puck and locating Brad Ginnell in front to set up the first goal just 1:19 into the contest. 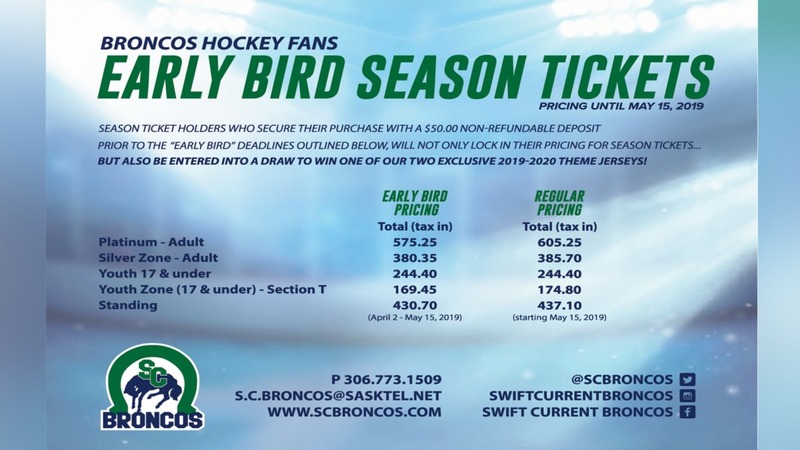 Minutes later, a giveaway in the neutral zone led to a 2-on-0 break for the ICE and they capitalized as Alec Baer slid a low shot by Broncos netminder Logan Flodell. 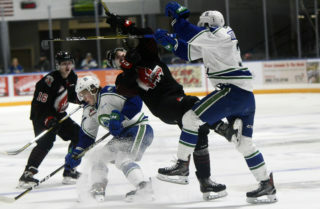 Head Coach Manny Viveiros called a timeout right after the goal and it was the turning point for the Swift Current Broncos. While shorthanded, Broncos defenceman Sahvan Khaira forced a turnover on the blueline and skated hard for a partial breakaway in which his shot was just enough to get by ICE goaltender Bailey Brkin to cut the deficit in half 2-1. In the second period, the Broncos threw 16 shots on goal and got one by Brkin as Kaden Elder got a hold of a bouncing puck in the low slot area and snuck it through to tie the game 2-2. The Broncos defensive play was much better in the middle frame, limiting Kootenay to only seven shots on goal. 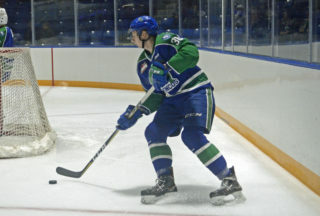 1:40 into the third period, 20-year-old forward Matteo Gennaro took advantage of an ICE giveaway behind their goal and found Max Patterson who crashed the net and put a shot through the five-hole of Brkin to give Swift Current a 3-2 lead. The ICE continued to hang around as Cameron Hausinger recorded his 13th of the season with assists from Dallas Hines and Brett Davis to tie it 3-3. Overtime seemed destined but then a highlight-reel goal from Gennaro occurred as he completed an impressive loose puck deke around the ICE defender before snapping it home from in close to restore the Broncos one-goal lead. 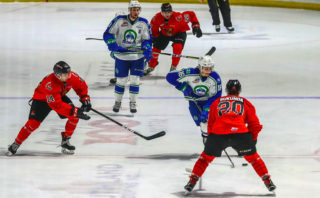 Kootenay pulled the goalie with two plus minutes remaining on the clock to press for the tying goal but Elder snatched up his second goal of the night via an empty netter to sign, seal and deliver a victory for Swift Current. Shots on goal were 41-33 in favour of the Broncos. The two clubs combined to go 0/5 on the power play with Kootenay being held scoreless on four of those chances due to effective penalty kill play from Swift. The Broncos stretch of eight games in 12 nights continues by opening up a three-in-three set beginning on Friday, January 5th on the road against the Brandon Wheat Kings. Puck drop is at 7:30pm CT.